From an operational point of view, application lifecycle management is profoundly impacted by the type of hosting and or sourcing of IT services your organization has decided to establish. Of course, when you purchase Software as a Service (SaaS), application lifecycle management is mainly the headache of your service provider – although as a customer you still have the strategic responsibility to determine what SaaS to consume. If you have homegrown applications and shift from operating IT in-house to consuming Infrastructure as a Service (IaaS), this will obviously impact how your operations handle application management. 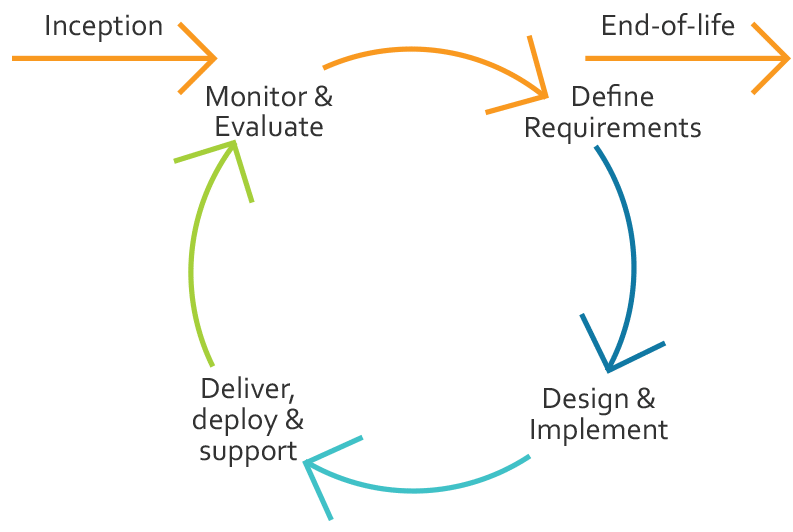 Are your implementers doing Continuous Delivery? What sort of staging do you need between development, test and production? In what type of environment will you deliver, deploy and support? How does this impact your 1st line, 2nd line and 3rd line support? How does it impact your ability to monitor and evaluate performance? Our expert advisory consultants help clients make and implement their strategic decisions aiming at securing optimal application lifecycle management regardless of the model used. Our experienced ITSM teams help clients establish sound IT service operations and to build and maintain the DevOps infrastructure that best serves their needs.